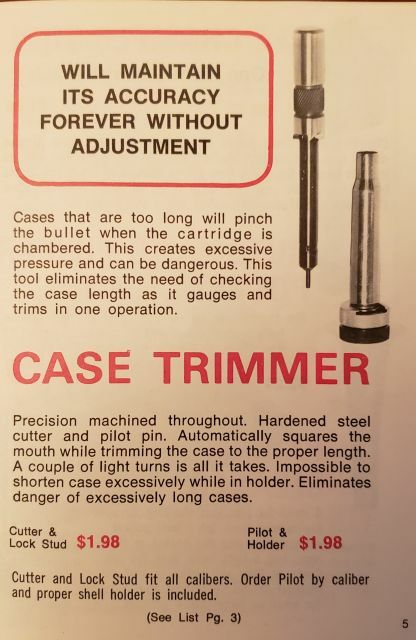 Lee Loader • View topic - case trimer "stud"
I have 4 of these including one that came in a set of 6 of the of the shell holders. One of them has a hole in it that the pin on the gauge drops into the others are blank no hole. What is the one with the hole for? 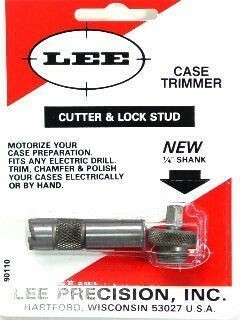 One more - are there two different diameter cutters? Ohio3Wheels wrote: I have 4 of these including one that came in a set of 6 of the of the shell holders. One of them has a hole in it that the pin on the gauge drops into the others are blank no hole. What is the one with the hole for? Pictures??? Not sure which parts you're talking about. The one on the right is the Lock Stud. I've been using these for over 10 or 15 year. Never saw one the came with a set of 6 shellholder. As I recall there used to be a round shaft on the lock stud. The shell holders did come in a box the held 12.
daboone wrote: The one on the right is the Lock Stud. I've been using these for over 10 or 15 year. Never saw one the came with a set of 6 shellholder. 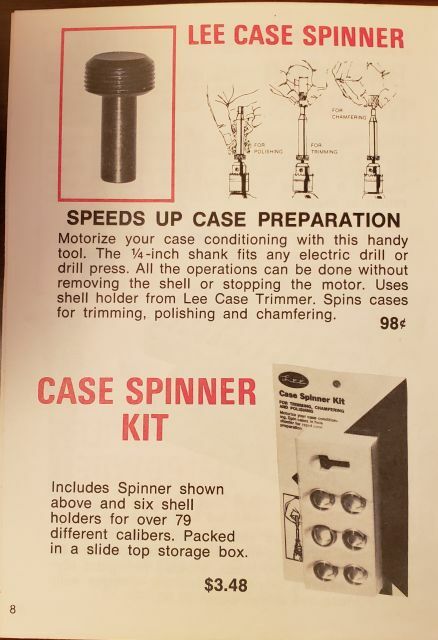 As I recall there used to be a round shaft on the lock stud. The shell holders did come in a box the held 12. The set of 6 dates back to the Lee Custom Engineering days. Oh, okay. I've got a couple of the ones Dan shows along with the one with the ball handle. Never have seen the ones that Ranch Dog shows. I would "assume" the one in Dan's post is a newer model. Works just fine with a hand drill or power screwdriver (along with Dan's beloved three jaw chuck ). I also use some of this system (three jaw chuck ) for turning necks on rifle cases.